When we’re looking for a fresh start, we too often complicate things. 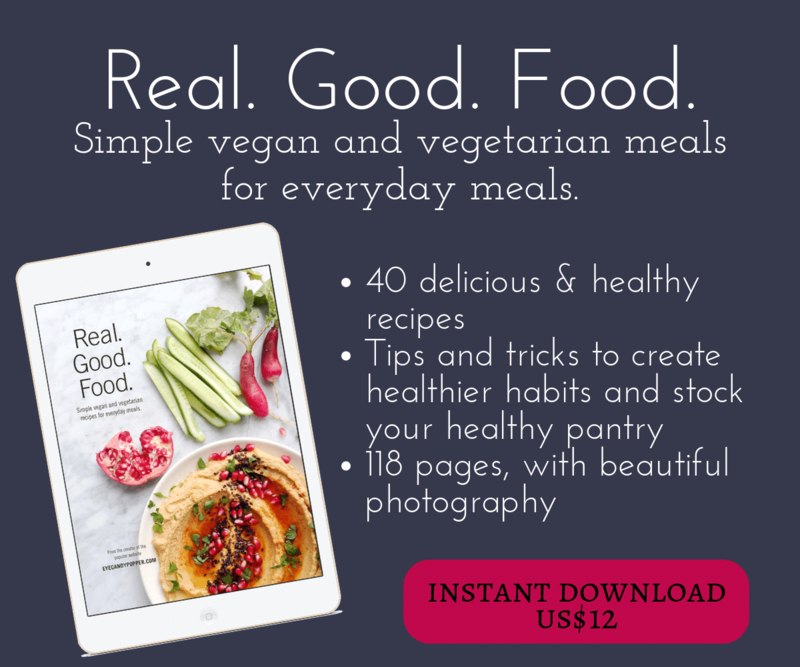 Eating healthy doesn’t have to be elaborate, it doesn’t have to take a lot of time either depending on the dish, and it doesn’t always require any kind of technical skills. 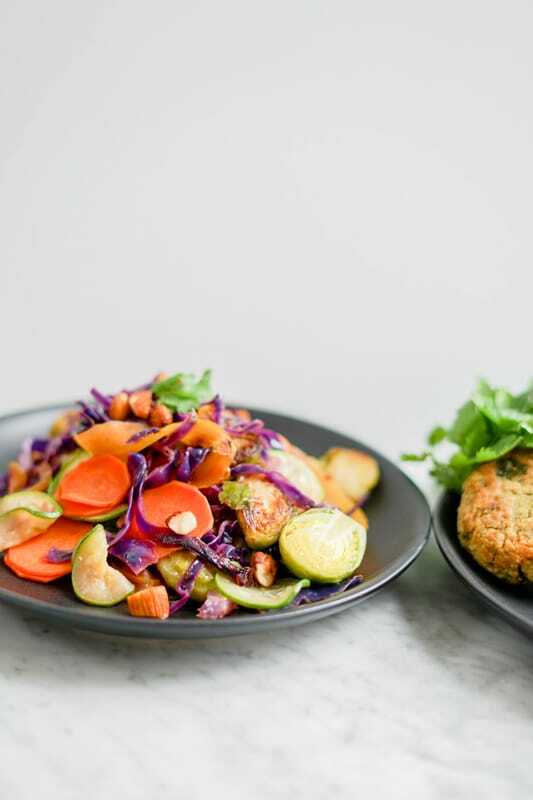 These Healthy Chickpea Fritters with Warm Vegetable Salad will prove all that. It’s a simple meal to make, no fancy work, and it’ll all be ready in about 40-45 minutes, from start to finish. 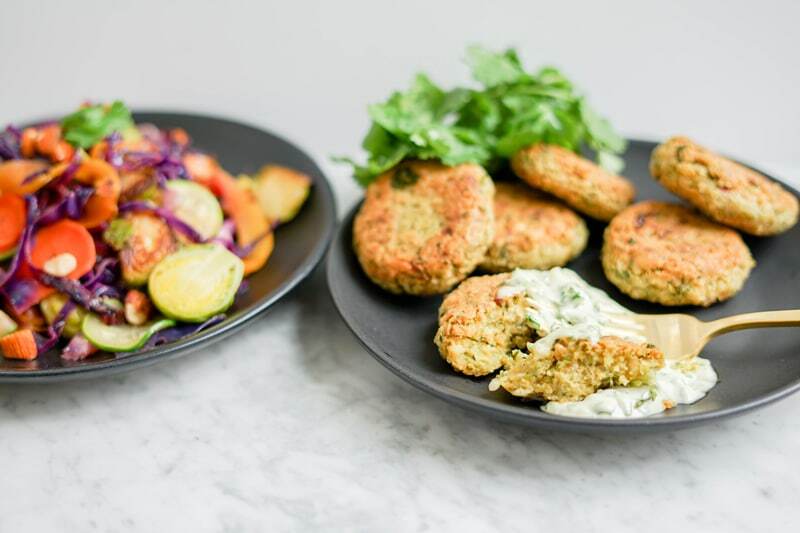 The best part is that you can double or triple this recipe and keep some of those fritters handy in the fridge or freezer for later meals. 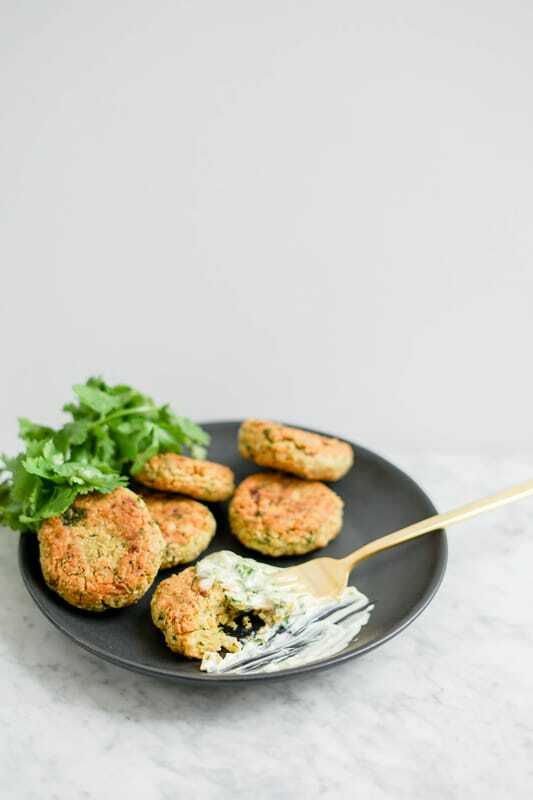 They also make an awesome lunch, because these healthy chickpea fritters taste incredible in a sandwich, along with some of that tasty cilantro aioli and some cucumber slices and lettuce. I don’t really how to describe how insanely delicious it was. The combination of all the ingredients together form an explosion of flavour in your mouth. So good! The key to making a meal from scratch is the steps, always start with whatever takes the longest to cook or what needs to marinate a bit, in this case start by making the aïoli (mandatory! 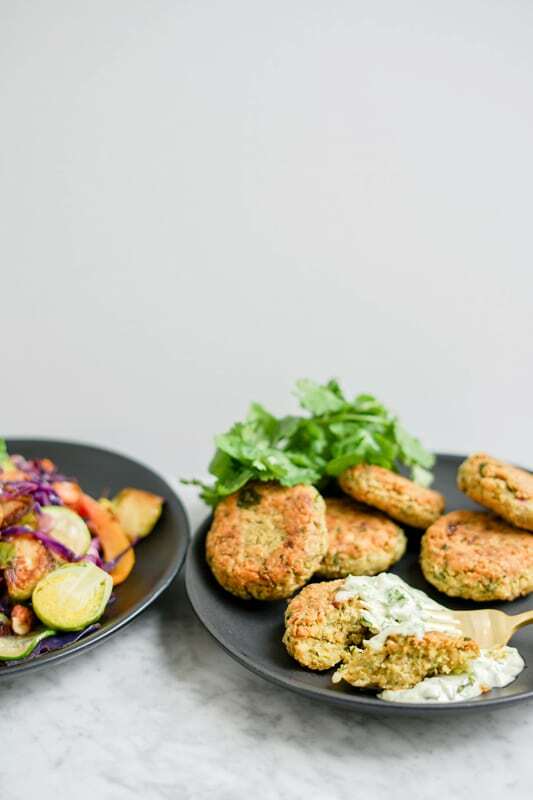 ), then start chopping all the veggies, and prepare the chickpea fritters in just a few minutes in your blender. As the start of a new calendar year is upon us, I always find myself reflecting on the past year and setting goals for the upcoming year. Every year, I strive to include new challenges, both personally and professionally. It keeps us stimulated and happier. This past year was incredibly challenging for me emotionally, as I pulled myself through grief, and even tough it’s an ongoing journey, this coming year promises to be filled with positive promises as my husband and I move to the country, something we’ve talked and dreamt about for years. We are aching for a simpler life, a more relaxed lifestyle, more nature around us, and we’re willing to make the efforts to get there. 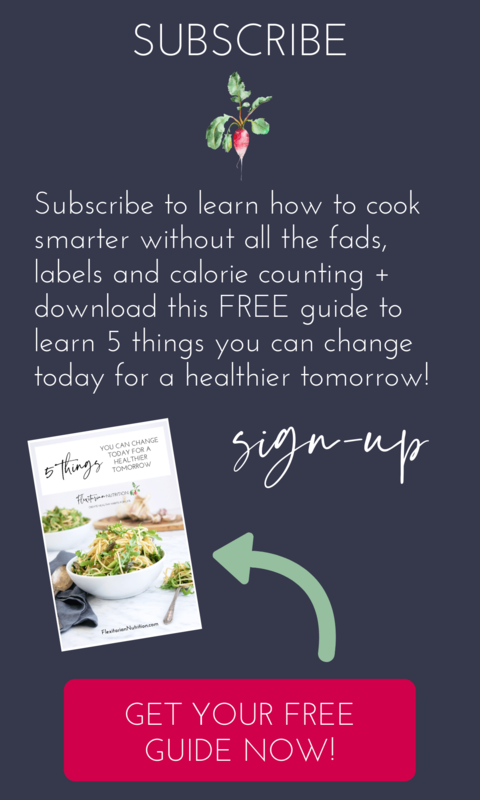 There will also be exciting things happening on this website as I bring new collaborations on board, and I am also excited to announce that I will put my Holistic Nutritionist Certification to good use and start an online nutrition and wellness coaching practice to share knowledge, expertise and support to so many of you who need a helping hand in your own personal wellness journey (more details will come in the spring, but if you’re committed and would like to be on my waiting list, simply send me an email or reach out privately on social media). I believe in myself just as I believe in you, and I know you can transform your daily habits to live a happier and healthier life. I’ll be there to help you along the way. See you there! Simple recipes including Healthy Chickpea Fritters with Warm Vegetable Salad | Vegan, Gluten-Free. Served with cilantro aioli and ready in about 45 minutes! Makes 2 large servings. Simply mix all ingredients in a small bowl, and set aside. Put the chickpeas, chopped cilantro, minced onion, salt and pepper in a food processor or blender, and pulse until you get a somewhat smooth texture. You might need to scrape the sides of the blender a few times and mix things around. OR mash everything using a potato masher. Transfer to a mixing bowl, add the 2 flours and mix really well. It should give you a very dry texture. Then using your clean hands, make balls and flatten them, like hamburger patties. I used a 1/4 cup to pre-determine the size of each patties. Cook over medium heat or lower, in a large pan with a good amount of avocado oil to cover the bottom of the pan. Cook for about 4-5 minutes per side, or until nicely golden and crisp. Be careful when flipping them over, the oil is very hot and can splatter. Keep the cooked fritters in a warm oven while the vegetables are cooking. In the same large pan over medium heat, sauté the vegetables (there should be enough oil left), starting with the Brussel sprouts for a minute or two, then add the red cabbage for a few minutes. Add the rest of the vegetables, and sauté for about 6 more minutes. Don't overcook the veggies. Mix a generous tablespoon of honey with the vegetables, and drizzle with freshly squeezed lemon juice. Serve right away with the cilantro aioli. 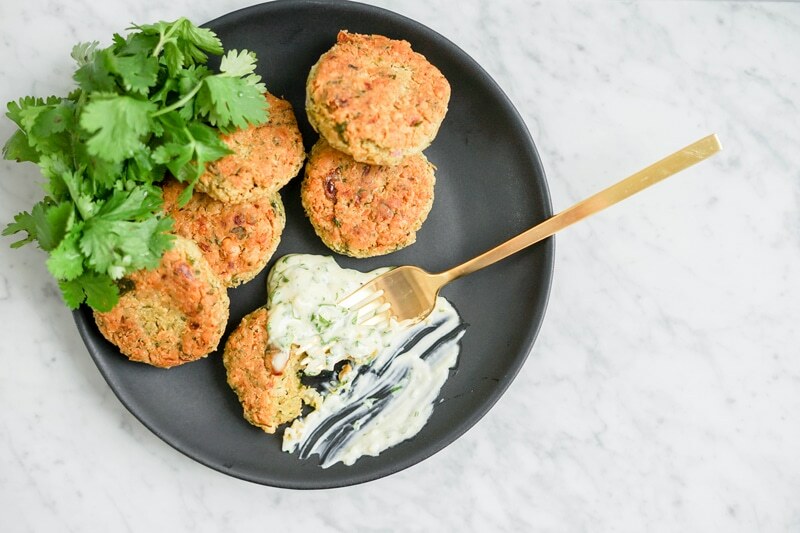 The chickpea fritters and cilantro can be made 2 days ahead of time and kept in the fridge in airtight containers. This looks delicious. I love how colorful it is. These look YUMMY! Even my 2 year old will like these I’m sure(she loves hummus so…). 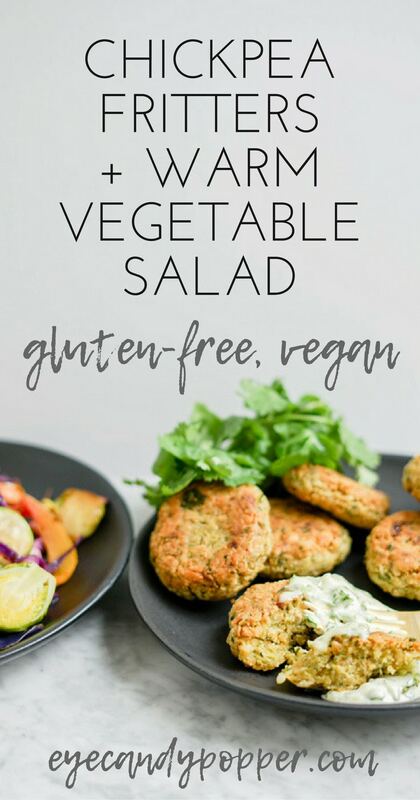 Been trying to eat less meat so I may just make these tonight! Thanks Jess! New beginnings, right? 😉 It tastes so good in a sandwich with the aioli, you’ll have delicious lunches ready! I’ve never met a fritter that I didn’t love! 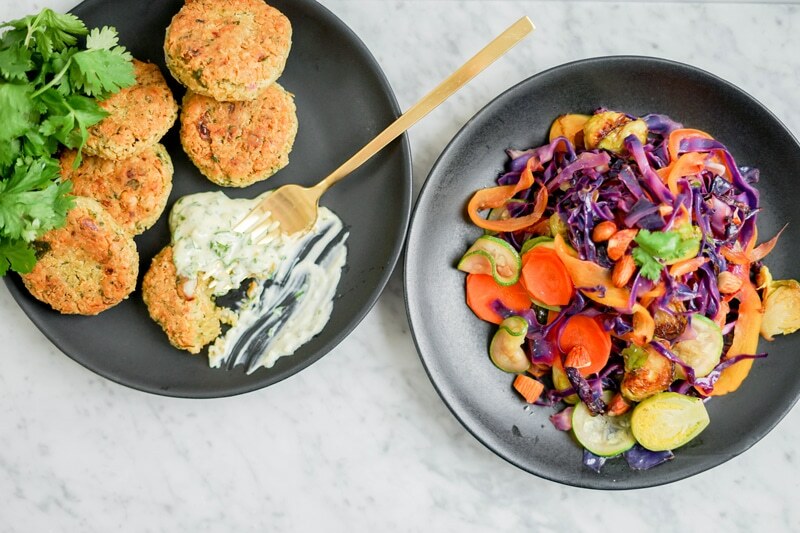 This chickpea version looks fabulous especially paired with that vibrant salad! Love these bright and beautiful colors! Thanks Amanda! It tastes even better than it looks!